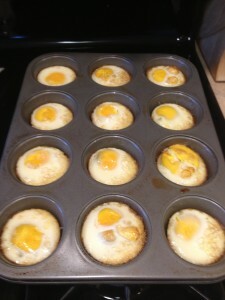 Baked, hard boiled eggs. How can an egg be baked and hard boiled? Great question. Let’s take a step back. Eggs are affordable source of protein. Hard boiled eggs are also portable. Portable protein sources make life convenient. There are three problems with boiling eggs. First a large pot of boiling water on top of the stove, a concern if you have small children. Second having to watch the pot for boil over. Third having to peel the shells that sometimes just do not want to come off the egg. Baking the eggs provides all of the convenience of a hard boiled egg with out the three concerns listed above. Method One on left above. Preheat your oven to 350F. Place the eggs into cupcake tins. Place tins in the oven and bake for 20-30 minutes depending on oven. Method Two on the right above. Preheat your oven to 350F. Coat a cupcake tin with non stick cooking spray. 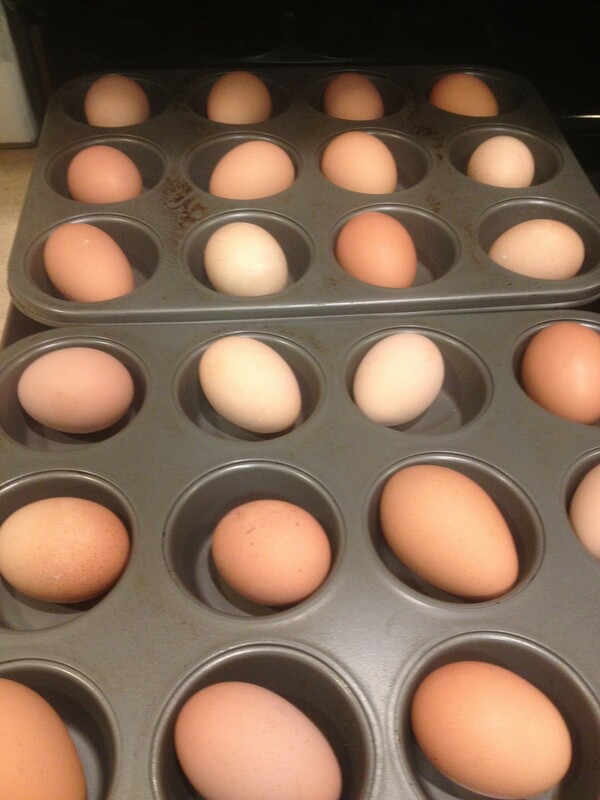 Crack the eggs and drop one egg per cupcake spot. Place tin in oven and bake for 20-30 minutes again depending on oven. This method eliminate problem three, having to peel the eggs. Would you like some more fast, easy Eat by Color Meal Recipes? This article is the courtesy of Raymond M. Binkowski former fat guy, author of “Eat by Color”, personal trainer and owner of FitWorkz. Its intent is to be shared. If sharing the previous following statement MUST be included any time this article is reproduced in part or entirety. So please feel free to share, you just might change a life! Unboring, sliced chicken tacos. These sliced chicken tacos were so good they were GONE before I could get pics. So all you get is a pic of the chicken after the first few tacos were made and the recipe. Use culinary scissors to slice the chicken breast thin. Sautee chicken in olive oil. 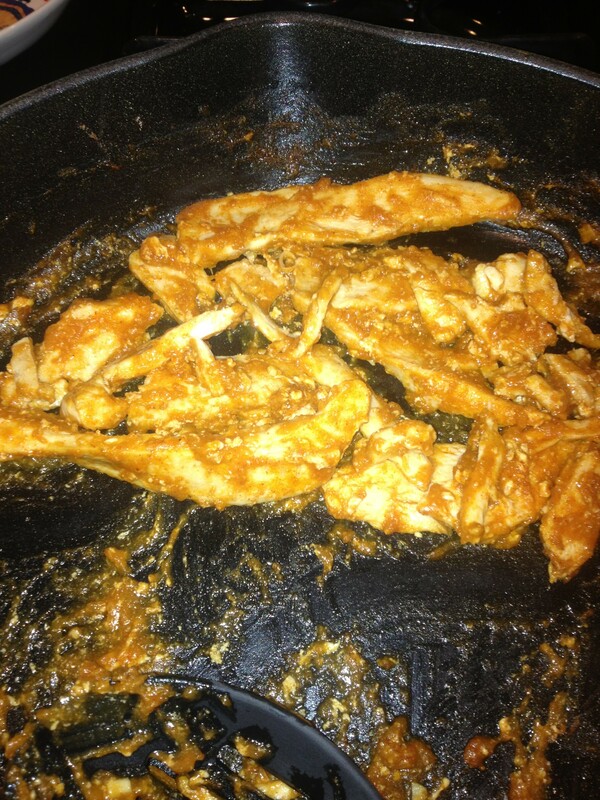 Once the chicken is cooked (use a meat thermometer if you need too) add the taco seasoning and water. Simmer and make sure the taco seasoning is thoroughly mixed with the chicken. Dunzo! We used the flatouts instead of tortillas and topped with sour cream. Hi Protein Strawberry French Toast Recipe-Eat by Color Style! Hi protein Strawberry French Toast recipe that you can make in minutes. Mix egg, UMP, and almond milk in a bowl or blender bottle. Split the English muffins. Pour mix in a bowl and dip the muffin halves in it. Be sure to coat both sides. 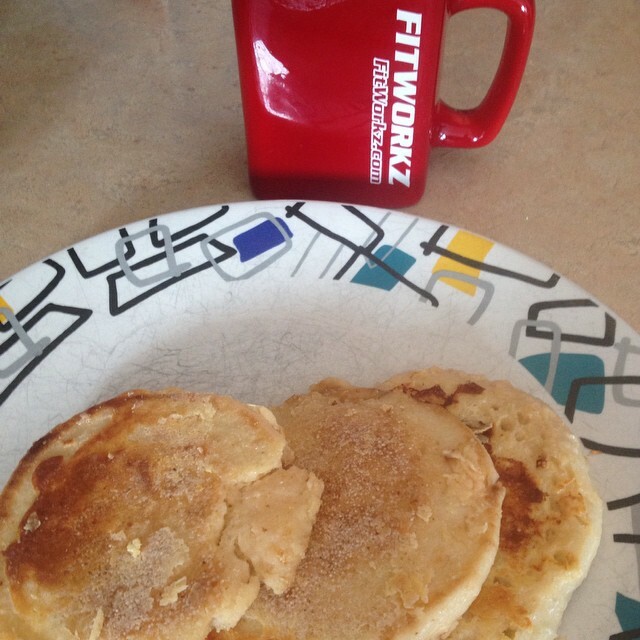 Put butter in a frying pan…or use non stick cooking spray. Cook the muffins like you would French toast. They are done when they are starting to get crispy. Have that dessert and snack while staying on your Eat by Color plan. The secret is in getting creative. Here is a great Eat by Color Pumpkin Pecan Protein Cookie recipe. Mix all of the above. You are looking for cookie batter consistency. Put foil on cookie sheet, scoop cookie batter with a cookie scoop or spoon onto foil. Bake. Enjoy!